"Let Us Sing The Birth"
Bringing grace to earth, Dei sui Patris! Now made low to our degree! 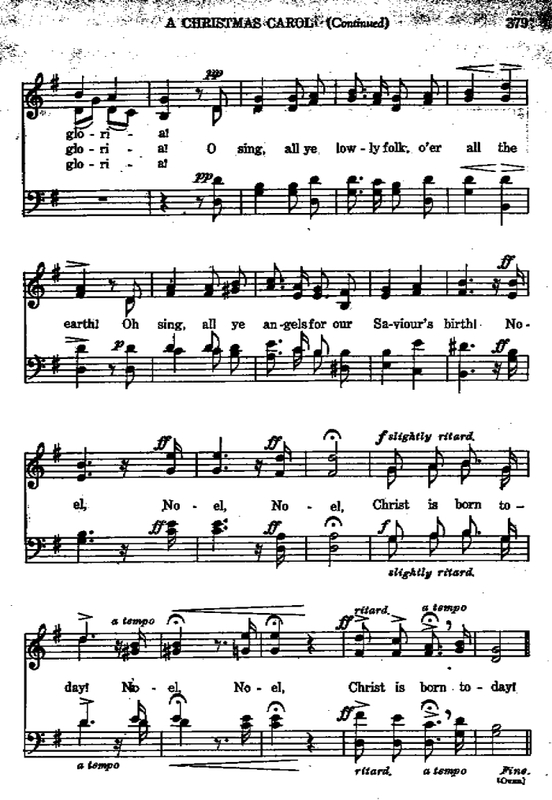 O sing, all ye lowly folk, o’er all the earth! O sing, all ye angels for our Saviour’s birth! 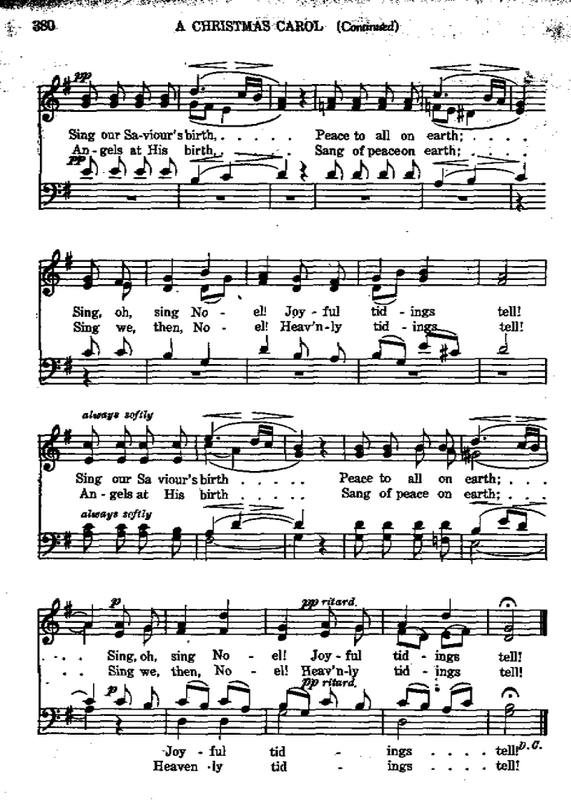 Sang of peace on earth, Puer nobis natus! Joy to lowly hearts to give! Praising God once more, Propter nos mortales. Only the music for the first three verses and the chorus for the soprano part have been sequenced. 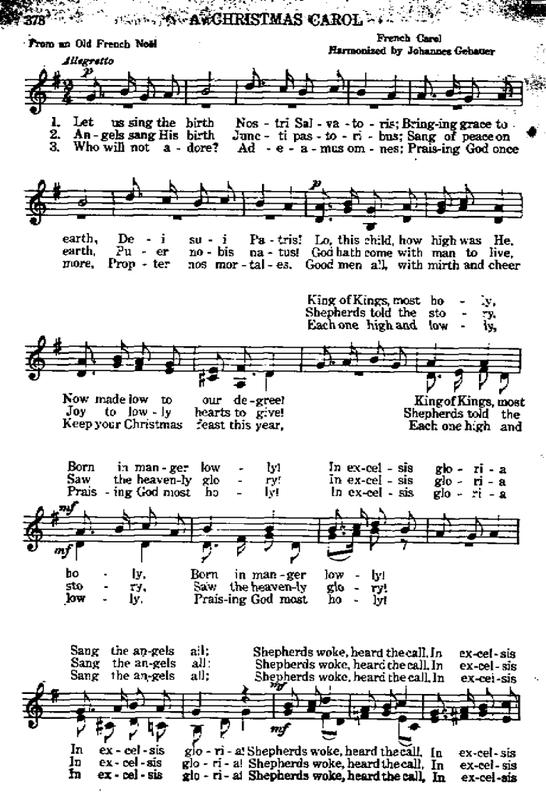 See the sheet music for all parts and for the fourth and fifth verses.